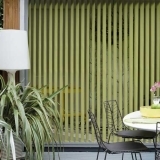 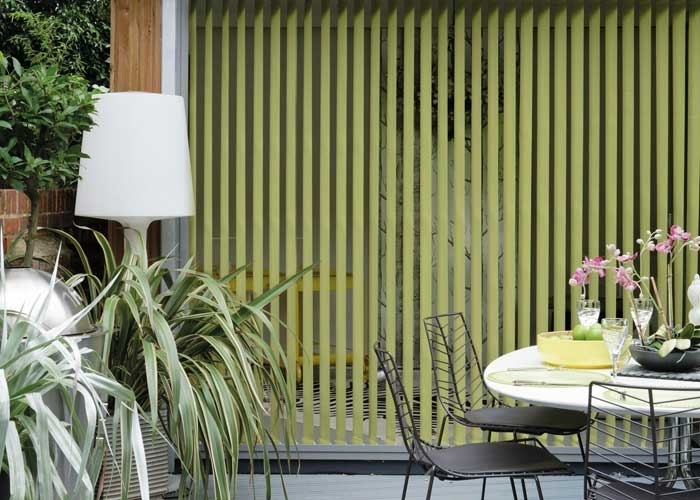 Simple and versatile, Vertical Blinds are ideal for a variety of settings, including large & small windows, patio doors, bay windows and conservatories. 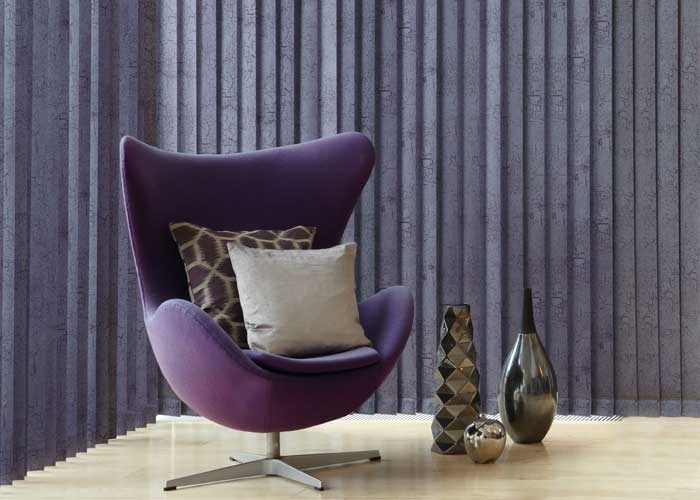 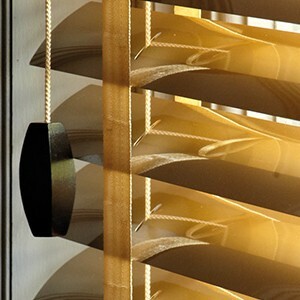 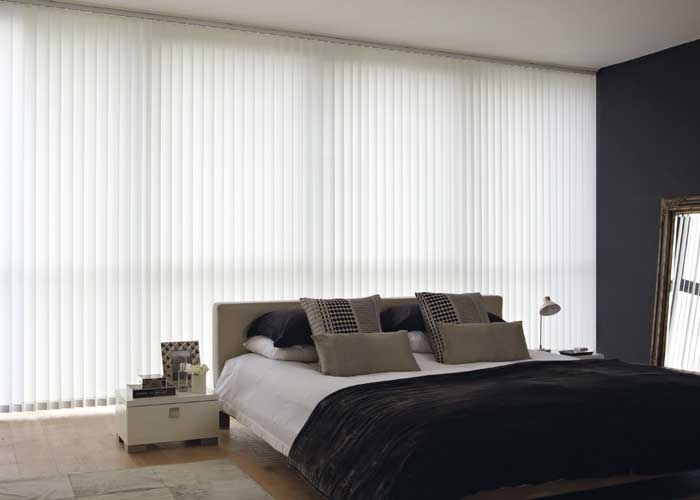 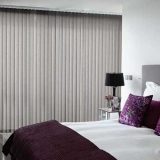 Vertical blinds are the simple, versatile, cost effective solution for most locations and window sizes. 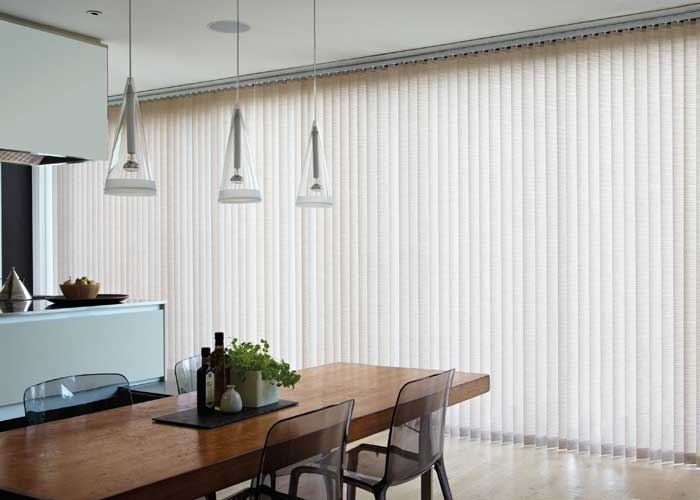 From small bathroom windows, full conservatories, bay windows or even patio doors vertical blinds are the solution. 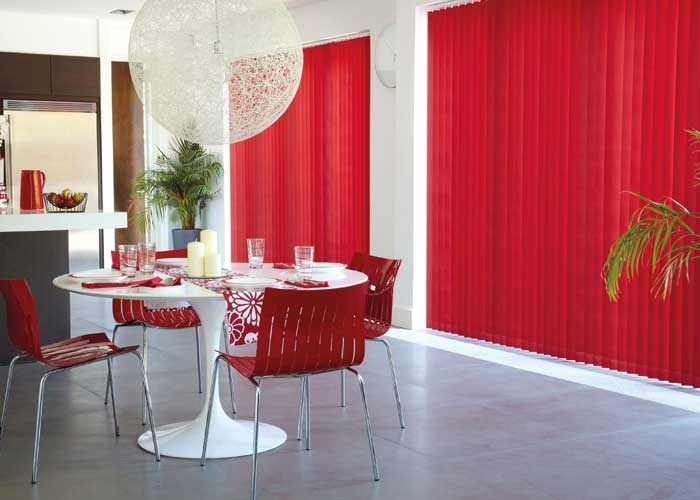 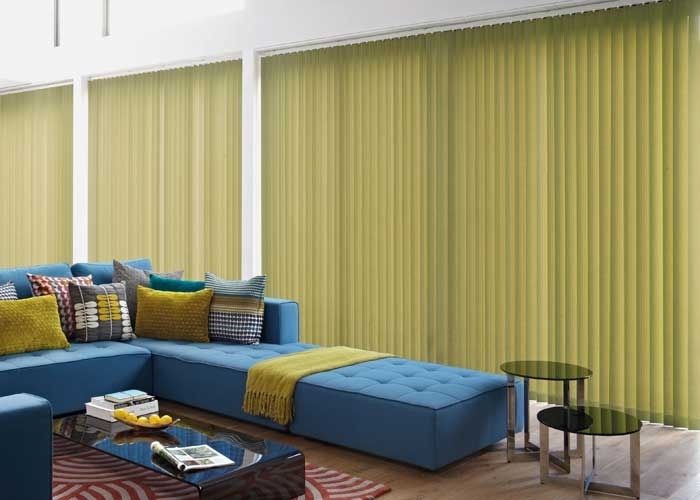 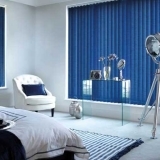 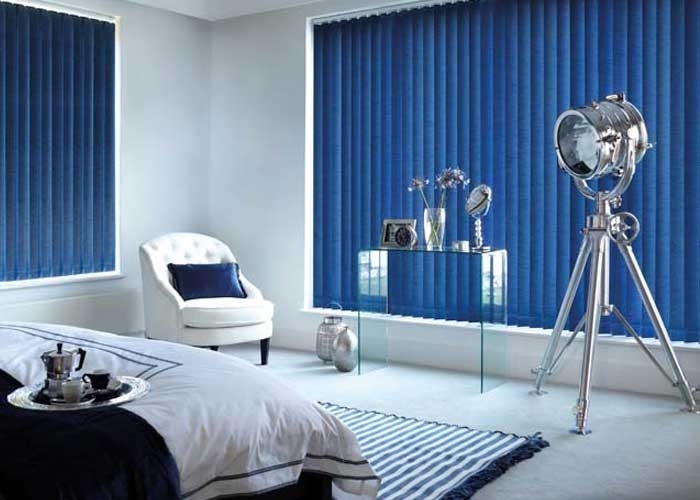 We at Derby Blinds have hundreds of different types of fabrics in a huge range of colours to suit all varied requirements and styles. 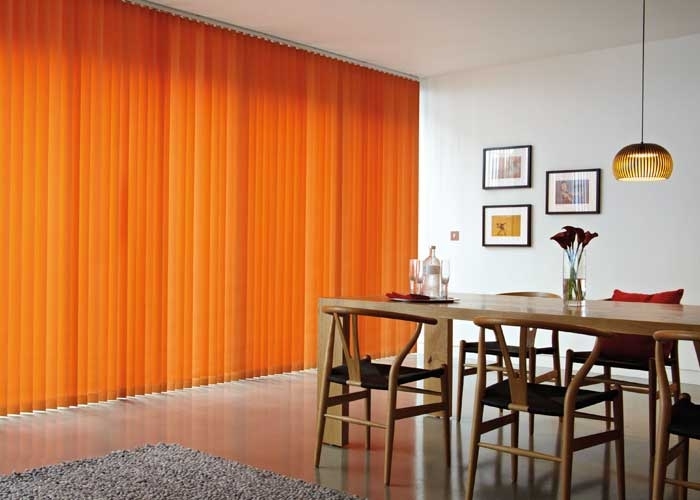 All of our fabrics are highly durably being treated with an anti-fading agent, giving long lasting quality. 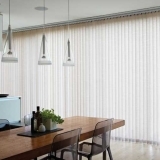 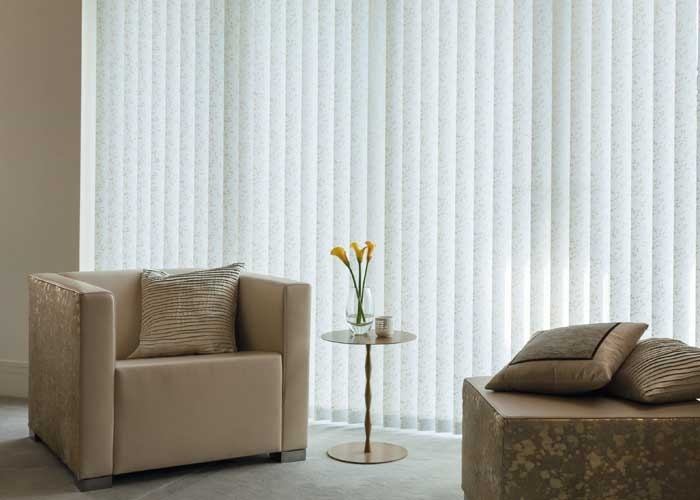 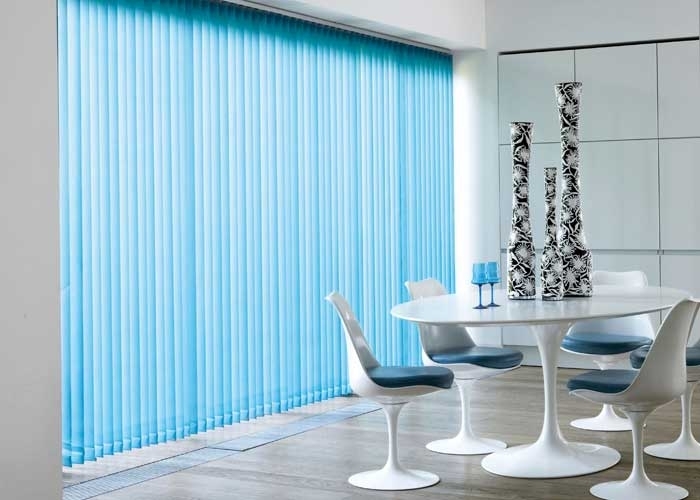 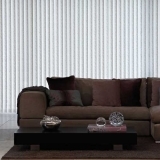 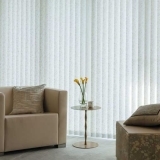 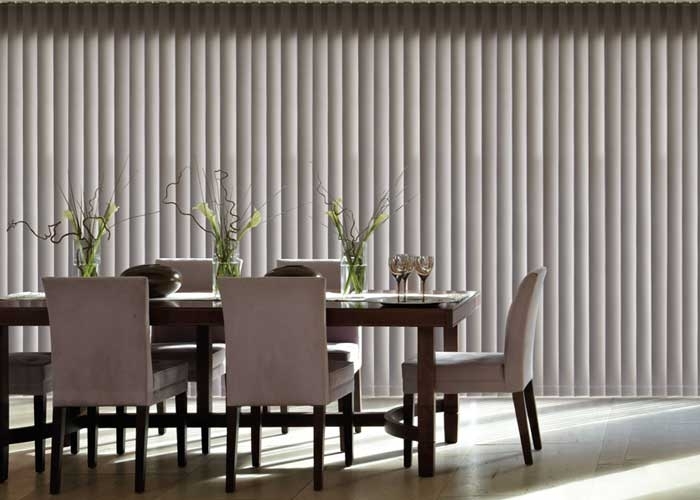 Derby Blinds only use carefully selected colour matched cottons to fix both top and bottom hems, which provides a much more ascetically pleasing look compared with nylon stitching which becomes brittle and glues which fail in time. 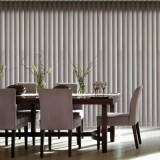 Derby Blinds are proud to be able to offer the child safe head-rail, which removes all the side chains and cords and replaces then with an easy to use rod which operates as the open and tilt operation for blinds, which removes the danger of young children becoming entangled within the standard cords or chains. 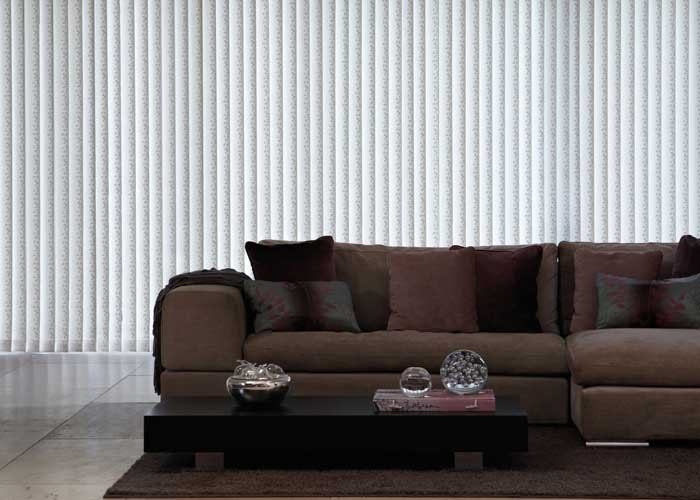 All of our head rails are assembled from the highest quality components from the Louvolite range with a choice of head rails Slim, Vallance & Swish, in white, brown, silver, black and gold. 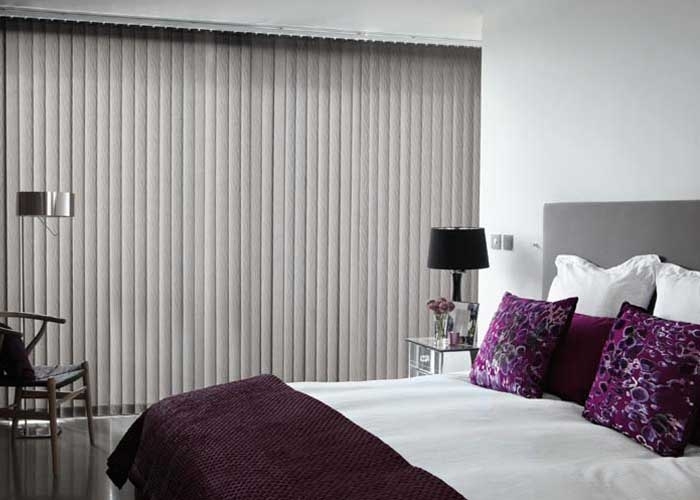 Your look could be greater improved with one of the many head-rail upgrades currently available from valanced rails for extra glamour to swish, or even colour coordinated with our black, brown or even silver head-rail to maximise the overall look of a room. 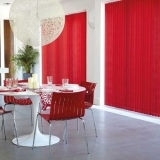 All of these are available in either left, right or even split draw to suit all eventualities. 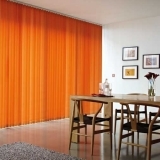 All available with chain and cord with child safe controls at no extra cost. 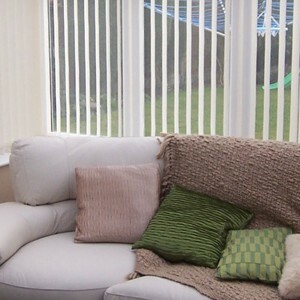 both sides or wand operated. 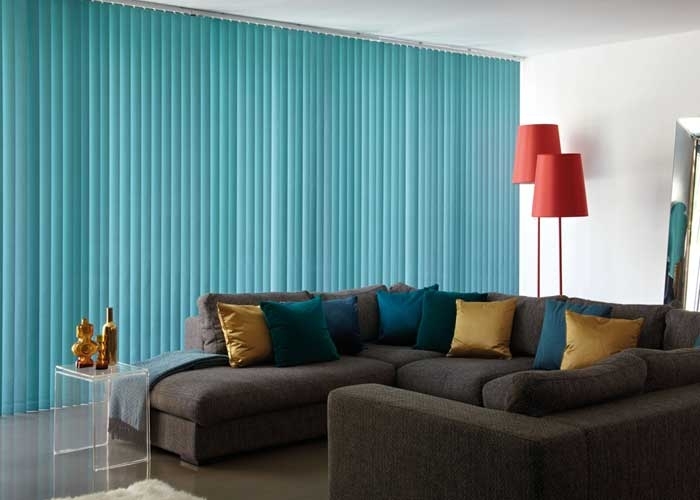 Coordinating fabrics in the roller and pleated ranges.